The idea of someone transitioning from black to white, without science or surgery, seems hard to grasp on the surface. Yet Vanderbilt Law School professor Daniel J. Sharfstein finds that African Americans have continually crossed the color line and assimilated into white communities from 17th century America through today. This actual journey has little to do with one’s skin color and more to do with a society’s willingness to look beyond race. Sharfstein spent almost a decade researching dozens of families that, for social, economic, safety and other reasons, chose to change their race and create new lives. Sharfstein found court and government records, personal letters and other archives that helped paint vivid pictures of these Americans. 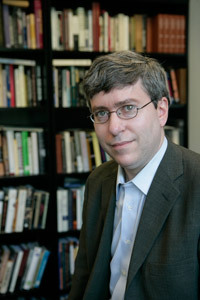 While previous records of “passing” have focused on individuals’ struggles to redefine themselves, often by leaving their homes and fabricating new identities, Sharfstein found large numbers of people who managed to defy the legal definitions of race right within their own communities. Sharfstein found that what mattered most was not the color of their skin, but how they defined themselves and related to their neighbors. The Walls were smart and powerful fixtures of the rising black middle class in post-Civil War Washington, D.C., only to give up everything they had fought for to become white at the dawn of the 20th century – clinging to the edge of the middle class. The head of the family, Orindatus or OSB Wall, was the son of a slave and a plantation owner. He and his siblings were freed as children. He became a highly respected early civil rights pioneer; recruited hundreds of black soldiers to fight in the Civil War; was appointed the Union’s first regularly commissioned black captain during the Civil War; and had audiences with presidents in the White House. 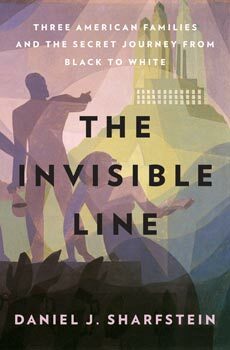 Read more about the families in The Invisible Line and what inspired Sharfstein to take on this type of race research.